Trying to be Die Hard on a train, which is weird cause there’s already a far superior Die Hard on a train. It’s called Under Siege 2: Dark Territory , the Sequel to Under Siege which is Die Hard on a Boat. 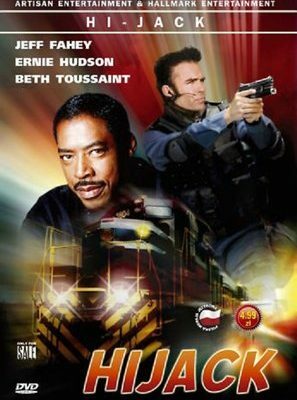 As cool as Jeff Fahey is, he’s not as impressive as Steven Seagal in Under Siege 2 (One of Seagal’s better films), Although Fahey did do the John McClain thing better than Steven Seagal did (It’s almost as if Bruce Willis plays the part drunk while Fahey is the sober version) but this low budget Die Hard on a train is very weak. Not even with Errnie Hudson (Who was a Ghostbuster, but if you watch the movie on Amazon they only mention that he’s on their competitor’s, Netflix original series, Grace and Frankie (Which I guess is better than them mentioning that he also stars in a series of infomercials for car insurance), had what it took as a black sidekick to Fahey’s John McClain, to make this movie all that more watchable. 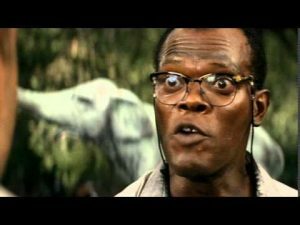 Too bad Samuel L. Jackson was too famous for the role by now.